Recent discoveries in the Stevens archives are rewriting portions of American art history. This site will be continuously updated and expanded to reflect these discoveries. Official home of the Lawrence Tenney Stevens Trust. Text and images copyright 1995, 2017. 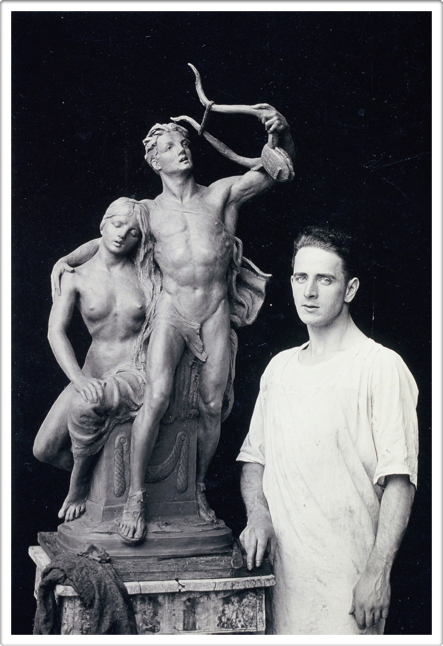 Lawrence Tenney Stevens with his winning entry, Music, for the 1922 Prix de Rome.